(Bloomberg Opinion) -- In 2010, President Barack Obama nominated economist Peter Diamond to the Federal Reserve Board. A short time later, Diamond -- a professor at the Massachusetts Institute of Technology -- received the Nobel Prize for his work on theories of the labor market. That pioneering research forms the basis of a whole branch of macroeconomic theory to this day. 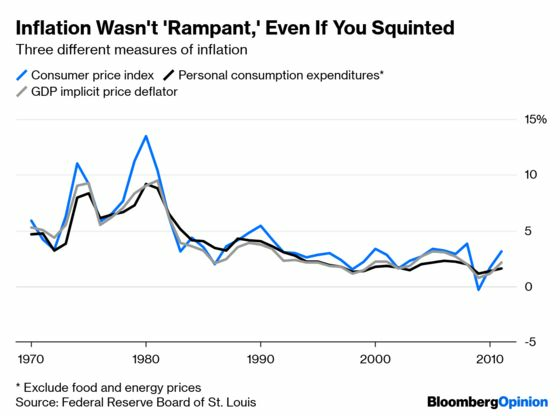 [W]e largely had price stability in the days when the Fed board lacked academics…If anything, this era of a “scientific” Fed has been characterized by rampant inflation. In any case, under relentless attack, Diamond withdrew his nomination in 2011. Now, eight years later, President Donald Trump seems to share Calabria’s view that the Fed has too many economics Ph.D.s on its board. In addition to commentator and political ally Stephen Moore, Trump has announced that he plans to nominate businessman and former Republican presidential candidate Herman Cain to the Fed. Unlike Moore, Cain does actually have experience making monetary policy -- he served as chairman of the board of the Federal Reserve Bank of Kansas City in the 1990s. This experience undoubtedly makes Cain a much better candidate than Moore, who has nothing remotely comparable. But the advancement of both Moore and Cain, together with the rejection of Diamond, shows a Republican party -- and a conservative movement -- that is slowly abandoning the economics profession. In the 1970s and 1980s, academic economists provided great support for free-market conservatism. Milton Friedman, one of the most influential and decorated economists of all time, laid out a libertarian philosophy in his book “Free to Choose: A Personal Statement” (co-authored with Rose Friedman); the book was made into a PBS TV series. George Stigler argued that regulation was extremely harmful to the economy, while the political economist James Buchanan is often viewed as one of the intellectual founders of anti-government conservatism. Macroeconomists like Robert Lucas, Edward Prescott and Thomas Sargent created models in which recessions are natural and efficient, and generally argued against government efforts to stabilize the economy. All won Nobels. With this intellectual shift underway, perhaps it’s natural that Republicans would start to view pundits and pizza executives as preferable to professors. 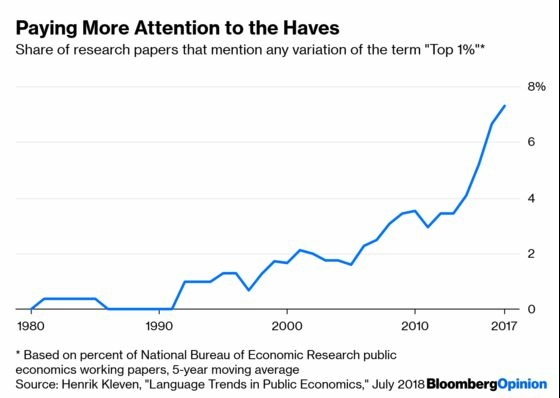 There are still high-profile academic economists who lean to the political right -- Harvard University’s Robert Barro, for example, or Stanford University’s John Taylor. A few prominent Republican policy advisers, like Glenn Hubbard of Columbia University Graduate School of Business, have solid academic credentials. But trumpeting these credentials might force Republicans to admit the equal or greater authority of the expertise among economists who advise the Democrats and urge more government intervention. Whether that’s the case -- or whether Moore and Cain are just one more manifestation of increasing GOP hostility to academia in general -- it signifies a shift in the public role of the economics profession. The idea that economics is a conservative science is losing its grip on the public consciousness.